Photo: George Mower House, ca. 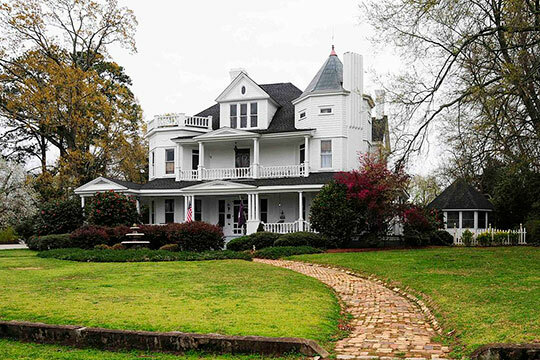 1893, 1526 Boundary Street, Newberry, SC. Listed on the National Register of Historic Places in 1980. Photographed by User: Bill Fitzpatrick (own work), 2012, [cc-by-3.0 (creativecommons.org/licenses/by/3.0)], via Wikimedia Commons, accessed August, 2014. Newberry County administrative offices are located at 1309 College Street, Newberry, SC 29108;phone: 903-321-2100. City of Newberry, South Carolina, Comprehensive Plan: 2010-2020, http://www.cityofnewberry.com, accessed August, 2014.